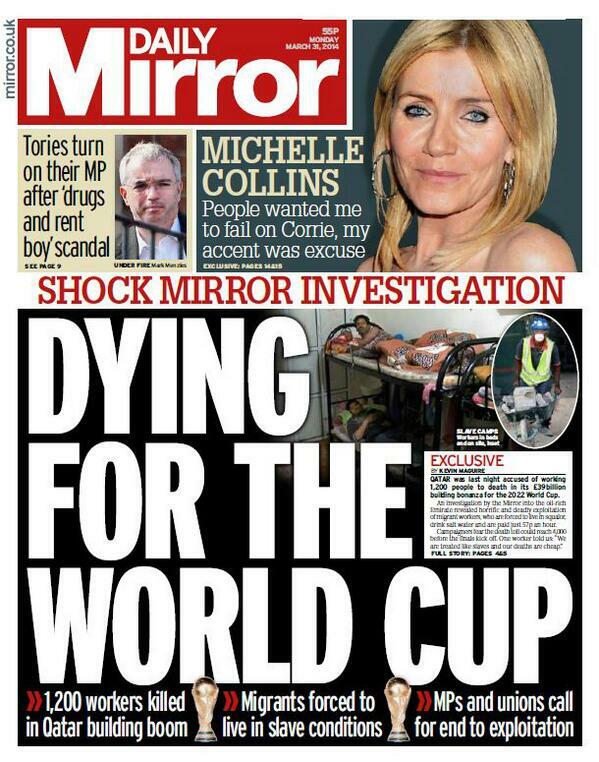 The Daily Mirror today returned to its radical, campaigning best, with a front-page lead report by Kevin McGuire on slave labour in Qatar. To the best of my knowledge, it’s the first time a British tabloid has raised the issue of the murderous conditions of migrant workers in Qatar as the Emirate prepares for the 2022 World Cup (though Nick Cohen has written some excellent pieces for the Observer). Last summer, when I was checking the proofs for my book about the Habsburg Empire, Danubia, I found myself reflecting on the way that across Central Europe over the past century and a half different forms of nationalism have done almost untold damage. Wherever I travelled there were entire towns whose populations had been killed or expelled at the command of one form of nationalist zealot or another. My conclusion (which I am sure is an uncontentious one) was that anyone who makes exclusive claims based around flags, songs or mystical and immemorial borders was at some base level evil — that to believe in such things, which have more in common with magic than rationality, puts the believer and his disciples en route to catastrophe. And then I thought about Alex Salmond. The Habsburg Empire, which was destroyed during the course of the First World War, joined together part or whole of 12 modern European countries and stretched from the Alps to western Ukraine. It was hardly a model of rationality and could often be cynical or incompetent – but it seems like a vision of paradise compared to the nihilistic disaster that unfolded for its inhabitants from 1914 to the end of the Cold War. Several generations found themselves savaged by all the most horrible elements in Europe’s formidable armoury of creepy prejudices sprinkled with a dusting of intellectualism – what language you spoke, your religion, your political views had you herded into different camps at different times. In the end nobody won. Whatever terrible crimes the Communists carried out they at least had a salutary attitude towards the nationalists scattered across Central Europe who had done so much to support the Nazis and to poison community after community that had until then generally lived cheek-by-jowl for centuries, if not in harmony then in grudging indifference. The lesson of the Habsburg Empire’s demise is probably that multinational states are extremely valuable. They define themselves by some measure of tolerance and the heir to the throne, Franz Ferdinand, had until his assassination, planned for his accession all manner of schemes to federalise the Empire. Before the catastrophe of the First World War very few of the Empire’s inhabitants imagined that independence was even a rational option. Even Tomáš Masaryk, later to found Czechoslovakia, could only imagine a federal solution – the lands of Bohemia and Moravia which he wished to have autonomy were simply filled with too many people who could never be reconciled to rule by Czech-speakers, as turned out to be the case. This is when I started to think about Salmond. The United Kingdom is Europe’s last big multinational state – and in that sense vulnerable to what nationalists love to think of as “the tide of history”. But the disasters of the 20th century have perhaps taught us that there are many problems with nationalist ideas on sovereignty. Indeed the European Union was created specifically in order to neuter these problems. One hardly discussed reason why the EU might be antagonistic towards Scottish independence is that Salmond’s rhetoric and reality swim in exactly the opposite direction to all the most positive European trends since 1945. While most of Europe pools its sovereignty, here is someone yet again making mystical claims for the greater virtue that would emerge from drawing a ring around a particular chunk of land. The head of Britain’s biggest trade union is to face a formal hearing over claims that his re-election to his post was unfair. Len McCluskey, general secretary of Unite, has been accused of a series of irregularities by Jerry Hicks, his sole rival in last year’s contest. Most serious is the allegation that ballot papers were sent to 160,000 “phantom voters” who should not have been allowed to take part. Unite is being investigated by the independent trade union watchdog over the claims. The Certification Office has the power to order a re-run of the race if Mr Hick’s concerns are upheld. This week it announced a formal hearing into the claims, provisionally scheduled for July. Mr Hicks, a former Rolls-Royce convenor who was backed by the Socialist Workers Party, believes that Unite’s decision to include 158,824 lapsed members in last year’s vote was in breach of the rules. The charge emerged after the discovery that there was a mismatch between the number of people granted a vote and the number of members cited in its annual report. It has been claimed that some of those who were sent a ballot paper for the election, which took place in April 2013, had not paid their subscriptions for several years and even that some of them were no longer alive. The Times revealed in January that fewer than 10 per cent of the disputed members had renewed their subscriptions. The hearing will listen to eight complaints, including allegations that Unite resources were used to campaign for Mr McCluskey and that it refused to allow Mr Hicks to make a complaint. All the charges are rejected by Unite, which says that the rules were adhered to throughout the contest. It argued that it sought legal advice on sending ballot papers to those in arrears with their membership and was informed that excluding those who had fallen behind with their payments would be against the rules. If the complaint about the disputed voters is upheld, Mr Hicks will have to persuade the watchdog that it could have had a significant impact on the outcome if he is to secure a re-run. Failing that, the ombudsman may instruct the union to take steps to ensure that the breach does not happen again. The outcome of the vote was that Mr McCluskey won 144,570 votes compared with 79,819 for Mr Hicks. Mr Hicks said he was “very buoyed up” by the news that he had been granted a hearing. He lamented the low turnout in the race, when only 15 per cent of Unites 1.4 million members voted and said he hoped that his complaints would lead to a more democratic union. The last time a re-run of a general secretary contest was ordered was in 2011, when Ucatt, the construction union, was found to have sent ballot papers to only half of its 130,000 members. * the use of alleged “extreme tactics” by trade unions is to become the sole focus of an official inquiry into industrial relations, ministers have revealed (Michael Savage writes). The investigation, announced last year, was originally ordered to examine bad practices by employers as well as the controversial “leverage campaigns” wages by some unions. However, it will now only focus on the alleged intimidatory tactics used by unions. 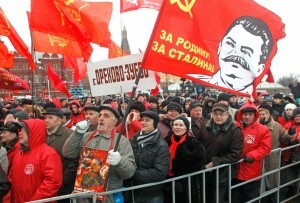 The left on Ukraine: third camp or no camp? Many responses from the left to the Ukraine crisis have ignored, sidestepped, or downplayed the right to self-determination of the Ukrainian people. Yet Ukraine is one of the longest-oppressed large nations in the world. In an article of 1939 where he raised Ukraine’s right to self-determination as an urgent question, Leon Trotsky wrote: “The Ukrainian question, which many governments and many ‘socialists’ and even ‘communists’ have tried to forget or to relegate to the deep strongbox of history, has once again been placed on the order of the day and this time with redoubled force”. The same is true today. If the right of nations to self-determination is important anywhere, it is important in Ukraine. If the axiom that peace and harmony between nations is possible only through mutual recognition of rights to self-determination is valid anywhere, it is valid in Ukraine. Only a few currents on the left side with Putin, and even those a bit shamefacedly: Counterfire and Stop The War, No2EU, the Morning Star. Others propose a “plague on all houses” response. The US Socialist Worker (which used to be linked with the British SWP, but has been estranged from it, for unclear reasons, since 2001) puts it most crisply: “Neither Washington nor Moscow, neither Kiev nor Simferopol, but international socialism”. For sure socialists side with Ukrainian leftists in their fight against the right-wing government in Kiev. But as between Ukraine being dominated by Moscow, and Ukraine being ruled by a government based in Kiev and among the people of Ukraine, our response should not be “neither… nor”. We support Ukraine’s national rights. Nations’ right to self-determination does not depend on them having a congenial governments. The governments under which most of Britain’s colonies won independence were authoritarian and corrupt. The socialist who responded with the slogan “Neither London nor New Delhi”, or “Neither London nor Cairo”, or “Neither London nor Dublin”, would be a traitor. “The anti-Russian nationalism that is strongest in western Ukraine has deep roots. Russia has dominated Ukraine since independence in 1991…” And for centuries before that! “The memory of Russian oppression within the USSR is still vivid and reaches even earlier to the independence struggles of the first half of the 20th [century]”. Stalin’s deliberately-sustained mass famine in eastern Ukraine killed millions in 1932-3. There is a deep historical basis to Ukrainian nationalism in eastern Ukraine, and among Russian-speaking Ukrainians, as well as in the West. “On the other side, many of the millions of Russian speakers identify with Russia”. And many don’t. On the evidence of the referendum in 1991, where 92% of the people, and at least 84% even in the most easterly regions, voted to separate from Russia, most do not. “One of the first acts of the new Ukrainian government after the fall of Yanukovych was to strip Russian of its status as an official language. This encouraged mass protests in the east of the country”. The parliament voted to reverse the 2012 law making Russian an official language. That was undemocratic — and stupid. The new president vetoed the measure, and it was dropped. Even if passed, it would not have applied in Crimea. Russian had not been an official language in Ukraine (outside Crimea) between 1991 and 2012. The protests in the east (often violent, but not, by most reports, “mass”) were generated by Russian interference, not by the language question. The “plague on all houses” response is an addled version of the “Third Camp” attitude which AWL has advocated on many issues; but a very addled version. Usually the SWP argues for “two camps”. Really to oppose US imperialism and its allies, they say, you must to some degree support the US’s adversaries, whether it be the Taliban in Afghanistan, Hamas in Israel-Palestine, Saddam Hussein and then the sectarian Islamist “resistance” in Iraq, or Milosevic in Kosova. To do otherwise is to be “pro-imperialist”. Support for an independent working-class “third force”, against both the US and allies, and their reactionary opponents, is ruled out. On Ukraine (as also on Syria) they break from that “two camps” approach, but to an approach which is more “no camp” than “third camp”. (The “no camp” stance has precedents in SWP history, in the wars for independence of Croatia and Bosnia, for example). Our slogans of Russian troops out and cancelling Ukraine’s debt to the West seek to support the Ukrainian people as a “third camp”. We solidarise with the East European leftists who, on the LeftEast website, call for “the third position [opposed to both Yanukovych and the new Kiev regime]… namely a class perspective”, and appeals to Ukraine’s left “to form a third pole, distinct from today’s Tweedledums and Tweedledees… You are the only ones who can give meaning to the deaths and wounds of the [occupied square in Kiev]”. Our position is defined primarily by its positive support for those “third poles” — the people of Ukraine, as against Putin’s troops or the IMF and Western government imposing neo-liberal measures; the working-class left in Ukraine, as against the oligarchs and the chauvinists. When we use negative “neither, nor” slogans, we use them as consequences, expressions, or summaries of that positive alignment; and they do not stop us assessing the other “poles” in the political situation in their varied realities. The “no camp” stance, instead, offers only abstract ultimate aims (international socialism) as an evasion. Noor Inayat Khan: 1st class. 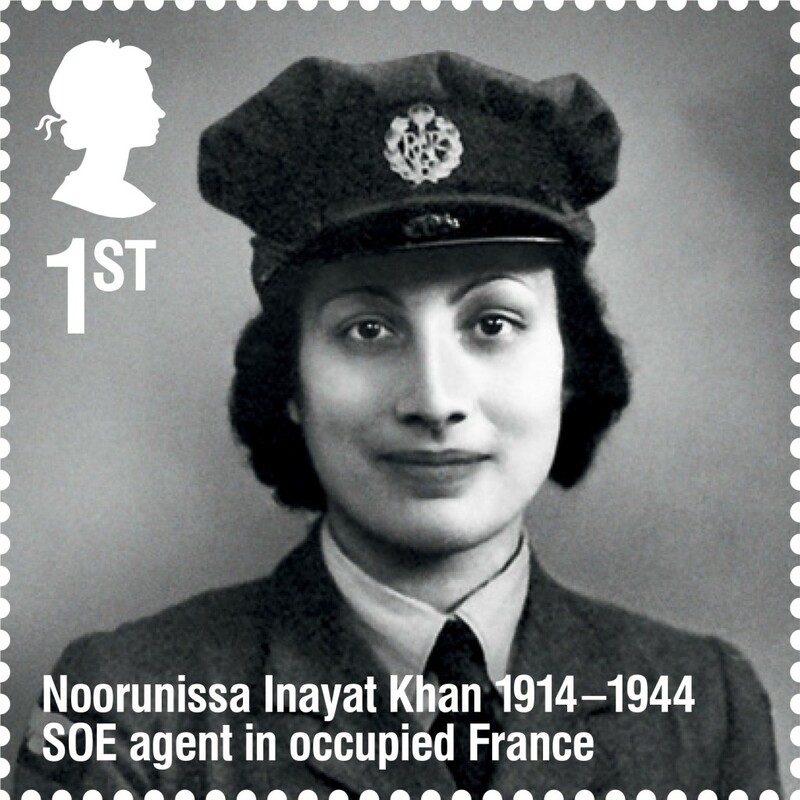 The Royal Mail has issued a postage stamp of Noorunissa (‘Noor’) Inayat Khan, World War II heroine, who fought fascism and died in the Dachau concentration camp. Noor Inayat Khan was born in Moscow in January 1914 to an Indian father, Hazrat Inayat Khan and an American mother, Ora Ray Baker. The couple met in the Ramkrishna Mission ashram in America. Hazrat Inayat Khan was a Sufi preacher and musician who travelled the world promoting Sufism. Noor was brought up in Paris and the family moved to London when France fell in 1940. Noor joined the Women’s Auxiliary Air Force and was later recruited to the Special Operations Executive, a secret organisation set up by Churchill for espionage purposes. She was the first female radio operator to be flown undercover to Paris, where she worked for three months under the code name Madeleine. However, she was betrayed, arrested and finally executed in the Dachau concentration camp in Germany. Though she was interrogated under torture, she revealed nothing — not even her real name. Her last word as she was shot was “Liberte!” She was 30. H/t: Alan Johnson and Iam Farruk, via Facebook. Sorry folks: I missed the 50th anniversary of Peter Lorre’s death (23rd March, 1964). A great day out for all the family, thoroughly enjoyed by one and all. Here’s something you haven’t read here before: well done to the Guardian ! Anyone wanting honest, factual reporting of events in Ukraine over the past month, could not have done better than to have relied upon the Guardian – mainly because of the on-the-spot reports from the excellent Luke Harding. While the Morning Star has been spouting Putin’s propaganda about a “fascist” “coup” in Kiev, Harding gave us the facts: yes there were (and are) some very unpleasant extreme nationalists involved in the Kiev revolution, but they do not define that movement and Putin’s constant reference to them is crude, but effective, propaganda, coming as it does, from a regime that is itself only too happy to utilise extreme right-wing forces at home. The historic atrocities in Crimea were committed by Moscow, which slaughtered tens of thousands of Tatars. So it has happened. Crimea has been annexed. A strutting Russian president sealed the fate of the once-autonomous Ukrainian republic with a speech to parliament yesterday in which he sought to wrap himself and the Black Sea peninsula together in the flag of his country. It was a bravura performance from Mr Putin, largely free of the ad hoc ramblings he indulged in at his press conference on 4 March, but nevertheless filled with purple rhetoric. Without apparent irony he invoked his namesake St Vladimir in Russia‘s cause. It was in Crimea, Mr Putin said, that Vladimir, the Grand Duke of Kieff and All Russia, acquired the Orthodox Christian roots that would spread throughout Russia, Belarus and Ukraine. It was in Crimea that the noble Russian soldiers lay in graves dating back to the 1700s. It was Crimea that had given birth to Russia’s Black Sea navy, a symbol of Moscow’s glory. In his people’s hearts and minds, he said, Crimea had always been a part of Russia. Quite how, then, his dimwitted predecessor Nikita Khrushchev had managed to hand it to Ukraine in 1954 was unclear, but that act had been a “breach of any constitutional norm” and could thereby be ignored. And by the way, Mr Putin intimated, Moscow had only failed to raise the issue of Crimea’s sovereignty during previous negotiations with Ukraine because it hadn’t wanted to offend its friendly neighbour. Now the west had cheated on a range of issues – Nato‘s expansion into eastern Europe, the “coup” in Kiev, the unnecessary prolonging of discussions over visa waivers for Europe – Russia felt inclined to accept a willing Crimea back into the fold. So the self-justifications went on. There have been few clearer-eyed critics of Soviet-era propaganda than Milan Kundera, who once wrote that “The struggle of man against power is the struggle of memory against forgetting.” Watching members of the Duma wildly applaud Mr Putin, the phrase felt newly appropriate. In the modern struggle of memory, we should recall that when Mr Putin was asked two weeks ago if he considered that Crimea might join Russia, he replied “No, we do not.” We should recall his assertion that the troops without insignia on Crimea’s streets could have bought their Russian uniforms in local shops. And we should remember Kosovo. Mr Putin made much of the parallel between Kosovo’s secession from Serbia and Russian actions in Crimea. In fact the differences between the two cases are stark. In Kosovo in the 1990s, a majority ethnic Albanian population was being persecuted by the government of Slobodan Milosevic. The region’s autonomy had been revoked, ethnic Albanians had been ousted from government jobs, their language had been repressed, their newspapers shut, and they had been excluded from schools and universities. By late 1998, Mr Milosevic’s ethnic cleansing was reaching a climax: Serbian army and police units were terrorising and massacring groups of Albanians in an outright attempt to drive them out. The Kosovans’ plight was the subject of intense diplomacy, which was rebuffed by Mr Milosevic’s government. In Crimea, by contrast, despite Mr Putin’s characterisation of the emergency government in Kiev as “anti-Semites, fascists and Russophobes” whose tools are “terror, killings and pogroms”, there have been no pogroms, little terror, no persecutions of Russian-speaking citizens bar a bid, now dropped, to rescind Russian’s status as an official language. The historic atrocities in Crimea were committed by Moscow, which starved and slaughtered tens of thousands Crimean Tatars in the 1920s, before deporting them en masse in 1944. Almost half the deportees died from malnutrition and disease. As Moscow takes a historic bite of Ukraine, Mr Putin would rather the world misremember Kosovo, or discuss the legality of the US-led invasions of Iraq or Afghanistan. The world has debated those wars before and should do so again. Today, let us see Russia’s move for what it is: an illegal, neo-imperialist act. NB: Martin Thomas of Workers Liberty dissects Milne’s “shoddy arguments for Putin”, here. “it’s all an awfully long time ago. All the incomparable one-off characters who light up those records are gone now, their voices stilled. A world without Pee Wee? Without Bobby [Hackett] and Brad [Gowans], Bud [Freeman] and Ernie [Caceres] and Jack Teagarden? Who’d have thought it possible? “Perhaps we never know until it’s too late, that nothing is forever. By the time we realize that, there’s often little left save the ache, the regret, and the sense, as in that medieval phantomland of Daphne Du Maurier’s The House on The Strand, of Elysium glimpsed briefly, then lost in the glow of some heartbreaking sunset.